Thanks to the recently Sudoku Mahabharat 2015-16 Twisted Classics round which I authored, there were many new Sudoku types, I am able to add to this website. I am trying to cover as many known Sudoku types possible on this website. My aim is to have at least one Sudoku created for any of the known Sudoku type. However if the image creation process of a particular Sudoku type is complicated then I prefer not to create that Sudoku type. Anyway last year I had authored 6th round of Sudoku Mahabharat themed Neighbors. 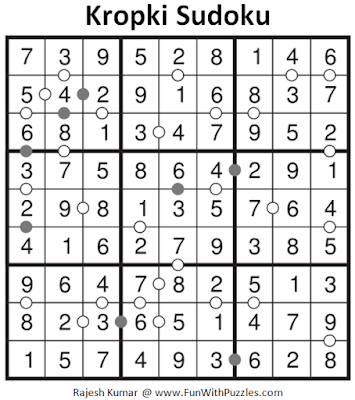 This Quad Max Sudoku was created during that time and for the long time this Sudoku remained unpublished. This puzzle was enjoyed by the participants. 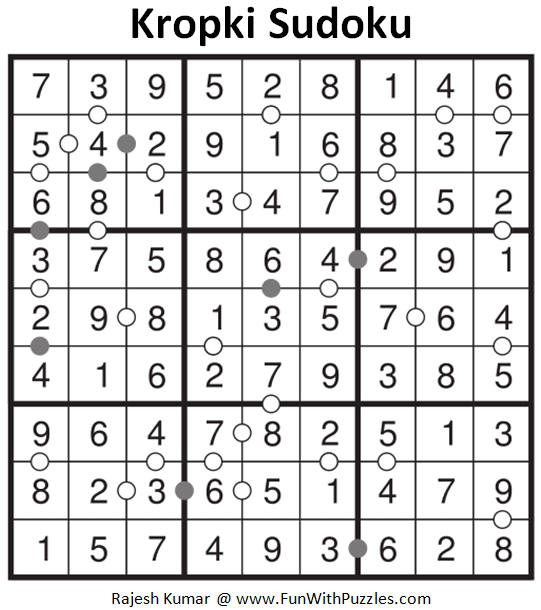 This Quad Max Sudoku, I am posting in Fun With Sudoku Series as 158th puzzle in this series. Apply Standard Classic Sudoku rules. Additionally Arrows are present at some corners. The digit pointed by the arrow is larger than the other 3 digits touching that corner. Here is solution of Sudoku Puzzle Titled "Kropki Sudoku Puzzle (Fun With Sudoku #269)"